I've been trying to sort through some of my stash as is beginning to take over everything, and while doing so, came across a few stragglers. Stragglers that had no home. 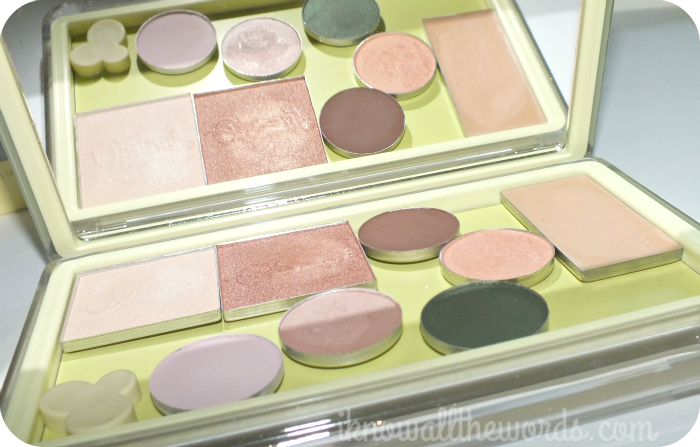 A handful of single shadows and a corrector just waiting for a little lovin'. I decided it was time to pick up a palette. 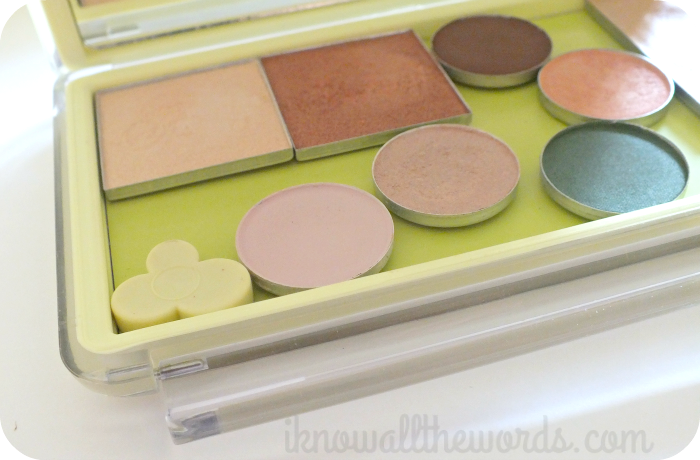 In the past I've always just used MAC ones- I still intend on upgrading to the new style- but since I had a few non-round items it seemed like the perfect time to finally try a UNII Palette. 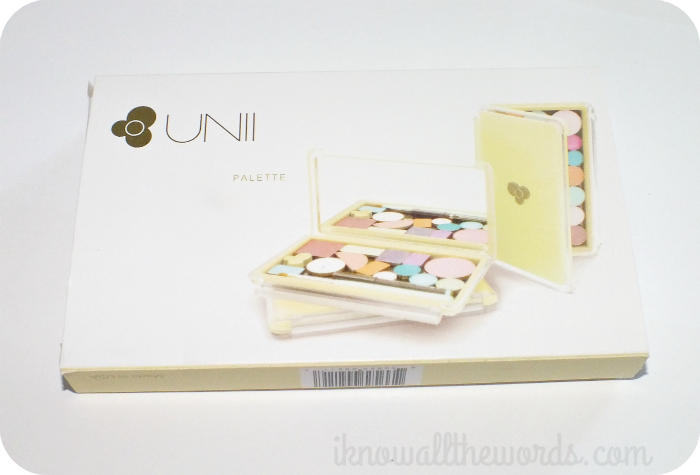 The hardest part about purchasing a UNII Palette? Choosing a colour. They're available in a mini rainbow of colours including pink, turquoise, white, black and pear a greenish-yellow. Now, I'm not a huge fan of yellow, but the chartreuse tone of this was just too appealing. Plus, it's sparkly! 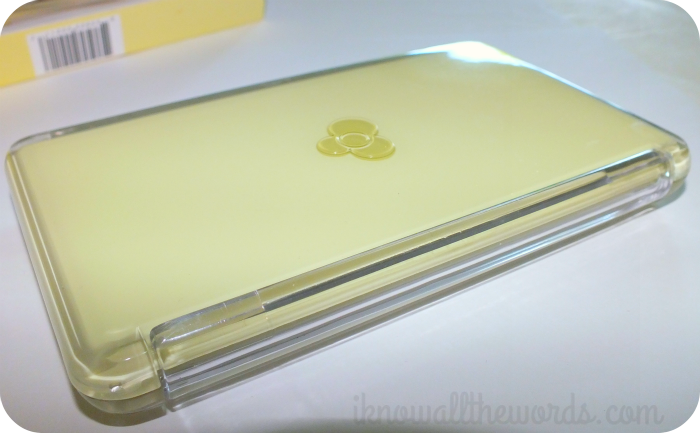 There are light bits of shimmer infused in the plastic. It seems to impervious to photographic capture, but it's there, and it's quite cute. I've found that Pari and Boxx products have the best hold, while MAC refills can shift a bit in the palette, so you might want to consider changing the magnets if you were going to traveling with this a lot to avoid any movement. I was surprised at how fast I was able to almost fill this little guy. After adding two Shany Eyeshadow singles, four MAC singles, one Pari single (the same size as a MAC single) and a Boxx Corrector I don't have a ton of free space. 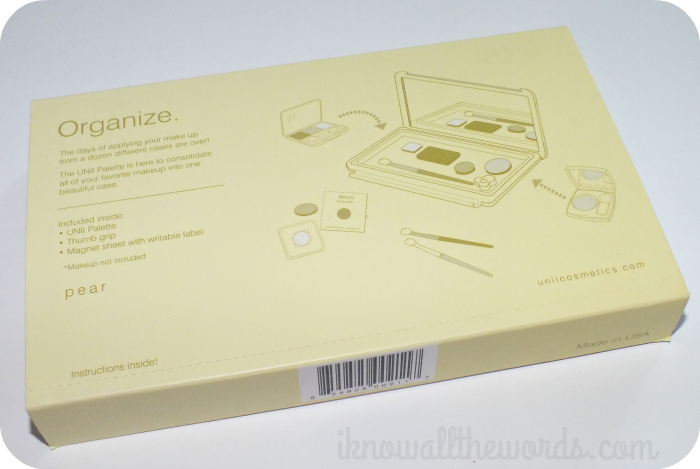 Overall, this is a great little palette to have on hand for travel or to store a few extra products. Since it doesn't hold a lot, it's not going to work for storing much of a collection unless you're just starting out. 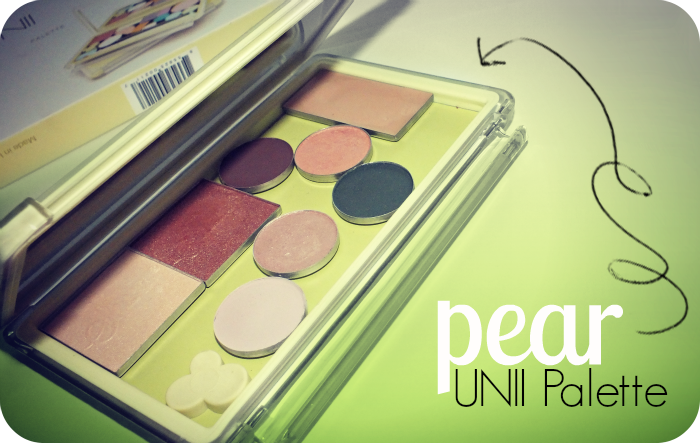 Have you used a UNII Palette? How do you store/travel with pan products?